Join us on for Tu B’Shevat Groove! Paul Penna DJDS hosts several engaging community holiday parties every year. These events are free of charge and open to all children ages 0-12 and their caregivers. We are proud to partner on these events with an impressive range of downtown organizations. If you would like to be added to our contact list so that you receive event invitations, please contact Sheri Rapp at 416-928-3537 ext. 136 or sheri@djds.ca. Check Out Daddy Kravitz - our very own school parents! 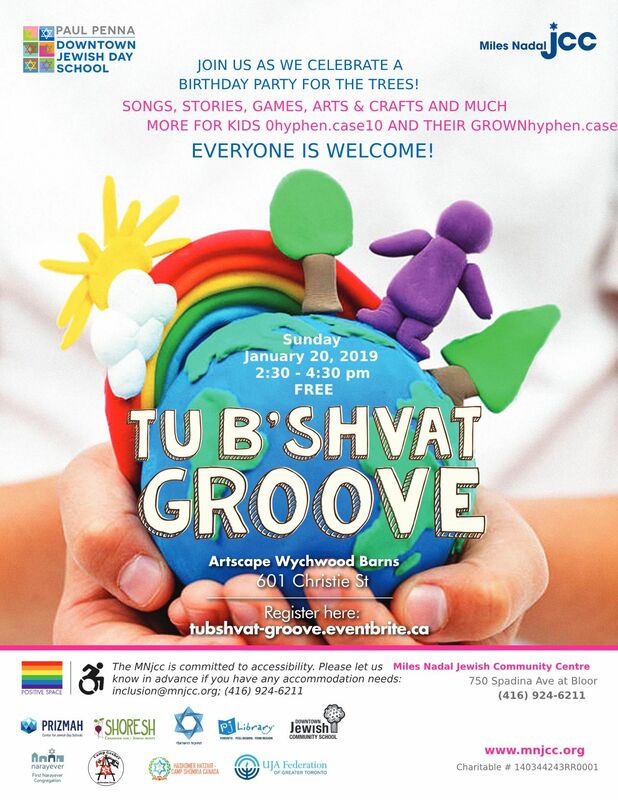 TU B’SHEVAT GROOVE WAS A FANTASTIC SUCCESS! !